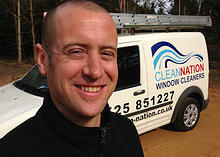 Richard is one half of the family partnership that founded Clean Nation Window Cleaners and prides himself on his attention to detail and friendly demeanour. Richard’s hard working and easy going nature makes him approachable, regardless of the request you have in mind. Paul has lots of previous experience in the cleaning industry. 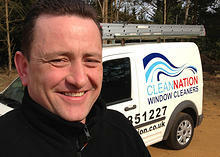 It is this in-depth knowledge and expertise that Clean Nation Window Cleaners was built on. Having operated in the area since 1999, he has great knowledge of the area and the people we work with every day.